Garish bridesmaid dresses for your girls as "gifts?" Um, no thank you. For you lovely brides and readers, finding the perfect thank you gift for your girls can be as exhausting as finding the perfect dress. 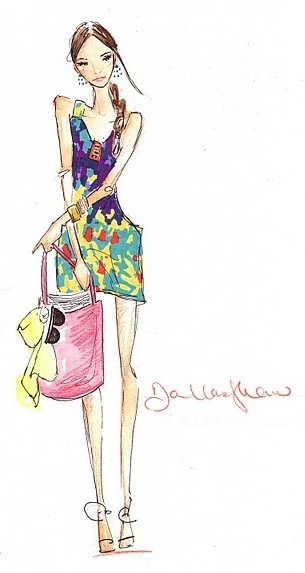 Which is why I am absolutely delighted to share with you the work of my favorite fashion artist Dallas Shaw. 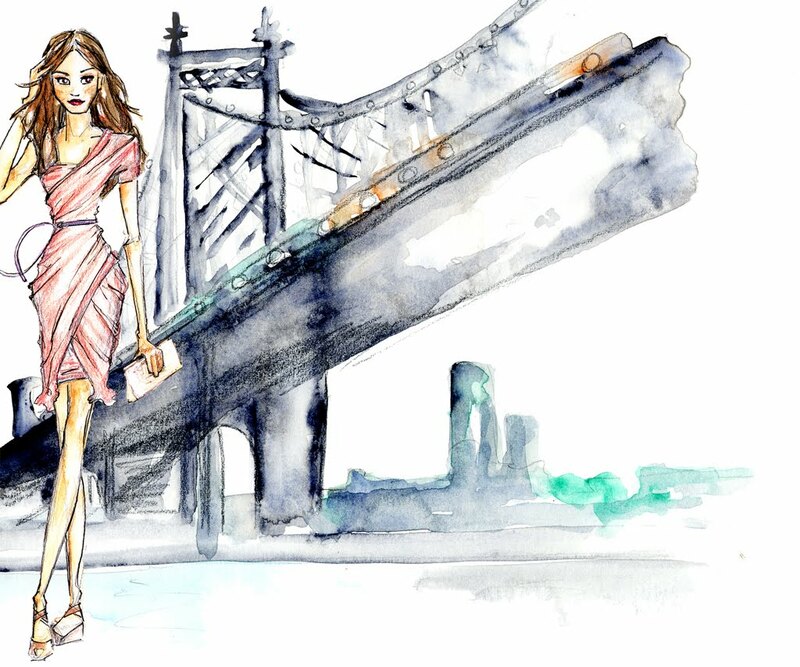 This ultra talented artist is the go to illustrator for the fashion world's most style savvy insiders like DKNY's PR Girl, The Bag Snob Ladies, and Rent the Runway, just to name a few. Take a look at just a small sampling of her work - a breath of fresh air, I say! 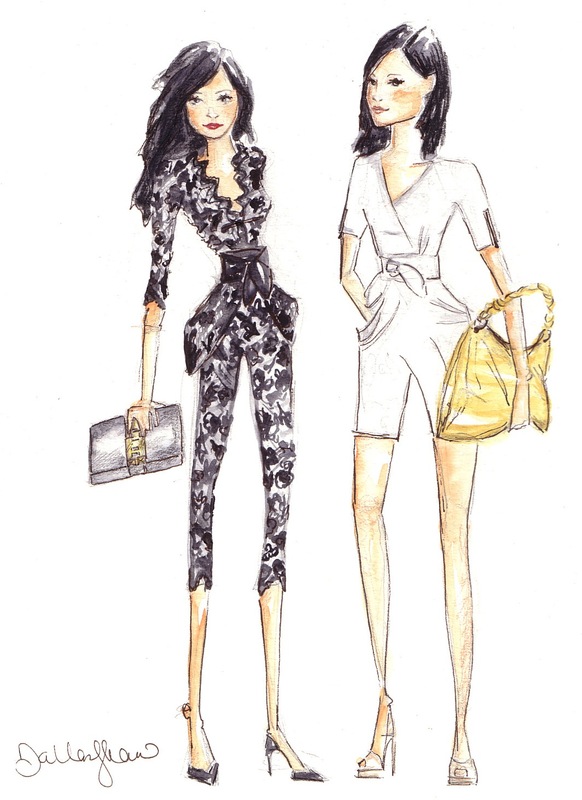 Think about it ladies - your besties forever captured in a gift as unique as their own personal style. I definitely think they will absolutely love the gesture and thought! Plus, the entire process is easy as a piece of red velvet cake! Here's the scoop on how you can get your custom illustration: each artwork is done on Bristol and in a mix of prismacolor, watercolor and pen & ink. When you first place your order, you'll be in contact with Dallas throughout the process. 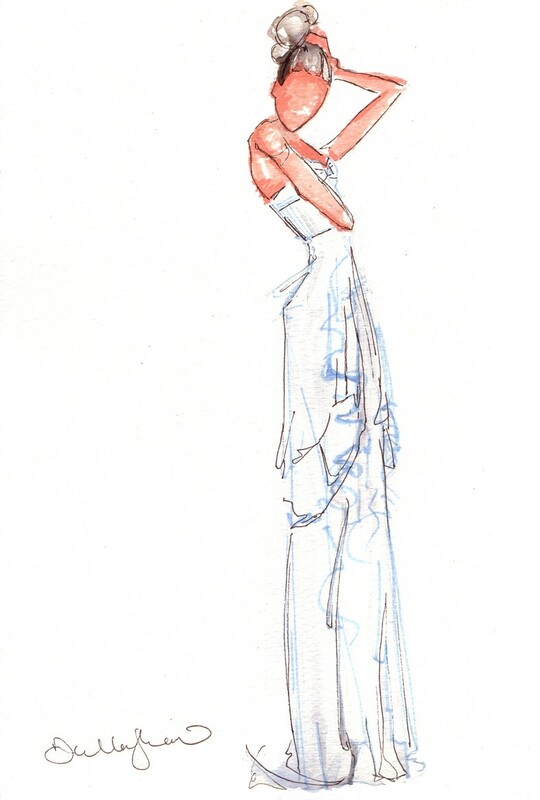 You will receive a rough sketch, and also a finished sketch before the drawing goes into color. Have a change of heart? Any changes made after the drawing is in color will be charged an additional hourly rate. Also, any brides looking for a piece of artwork to commemorate her special day can commission a custom bridal illustration as well! Brides may send photos of dress, themselves shoes, etc. before or after the wedding. Don't forget to follow Dallas on Twitter for the scoop on more of her amazing work like these darling gals, which pretty much won me over to get myself a Dallas Shaw original! For inquiries, please email Dallas at DallasShawDesign@gmail.com. Thanks for posting. I will always regret not taking a fashion illustration class in school. I so wish I could draw like this. Beautiful! that is such a cool idea. thanks for the post! Oh my gosh, what a fabulous idea! So cool & special! Thread Social Summer Sample Sale! Fab Frocks Friday: Wanna Get Away?